To save her twin, she must take her identity. One night Tila stumbles home, terrified and covered in blood. She’s then arrested for murder, the first by a civilian in decades. 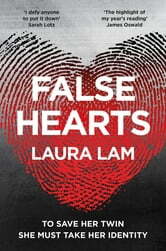 The San Francisco police suspect that the drug Verve is involved, and offer her sister Taema a chilling deal to save her sister’s life. Posing as Tila, she must infiltrate the crime syndicate running the drug to help bring it down. However, Taema’s inquiries raise dangerous questions. The sisters were raised by a cult which banned modern medicine. Yet as conjoined twins, they needed surgery to replace their failing heart, so had to escape. Now Tila discovers disturbing links between the twins’ past and their present. 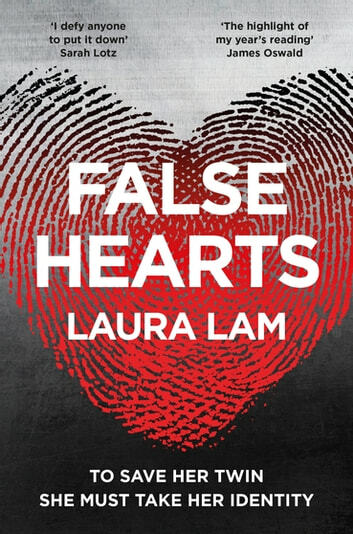 Once unable to keep secrets, the twins now learn the true cost of lies in False Hearts by Laura Lam.